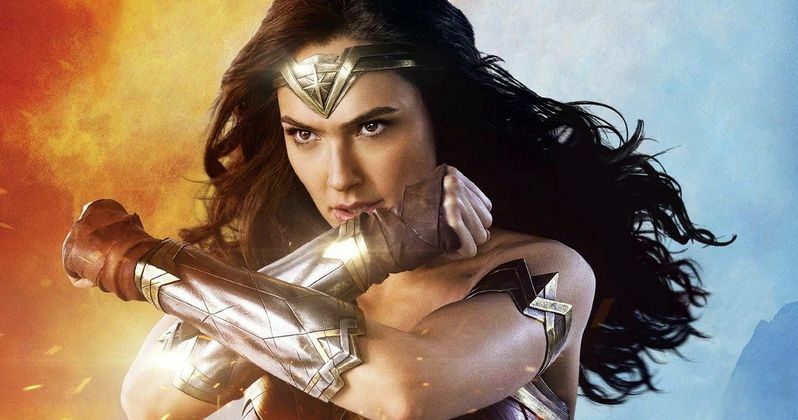 In an effort to do some new sort of marketing, Regal Entertainment Group is offering people the opportunity to purchase the Ultimate Ticket for Wonder Woman. That's right. For $100 you can purchase a ticket that allows you to watch Wonder Woman once per day, every day, of its theatrical release. Yes, you read that right. Now I ask you: Is this the craziest, dumbest thing ever? Or is it just me? Regal (and perhaps DC Films) think that there are going to be people (1000 to be exact, because that's all the tickets that Regal is offering) that want to see Wonder Woman 30 or more times. Now, before we get into the hows and the whys of the Ultimate Ticket for the Wonder Woman movie, lets just break down what it is that consumers are being offered. "This one-of-a-kind collectible ticket features Wonder Woman's world famous double W logo laser cut and etched into textured anodized steel. Each card is personalized with the cardholders ship to name inscribed permanently on the back. Guests with the Regal Wonder Woman Ultimate Ticket receive ONE ticket to ONE showtime on each business day during the initial release of Wonder Woman at Regal theaters. Accepted for all film formats, including RPX and IMAX. No other film title will be substituted for any reason. Available exclusively at CorporateBoxOffice.com." So basically, Regal Cinemas think that people are actually going to see Wonder Woman more than once? Even if you loved the film and saw it three times in the theater (which, for me, 3 times is the litmus test for loving a film), buying a $100 ticket is still a stretch. Why? Because even if you paid $20 each time to see this film, you're still $40 up! On top of all of that, why would you want to see this film 30 times? I am not trying to diss Wonder Woman. I haven't seen the film. However, who in the world has the time, with all the content that is constantly being thrown our way to watch Wonder Woman 3 times let alone 30? Does the studio really think that this film is going to be so amazing that moviegoers will feel compelled to see it again and again? I suppose that DC completists will feel the need to have a "one-of-a-kind collectible ticket that features Wonder Woman's world famous double W logo laser cut and etched into textured anodized steel." However, will they? The fact that Regal is only doing 1000 of these tickets does tell you something. This is a either a publicity stunt or they don't think that people are going to really want to be stuck with this special ticket. Also, when you consider that the most Regal and DC can make off this marketing bonanza is $100,000, that is chump change compared with Wonder Woman's $100 million budget. However, for Regal Cinemas, I am sure that that money is probably quite respectable. So aside from getting to see Wonder Woman for it's initial release, it is kinda cool that Regal movie-goers can see the film in RPX and IMAX. However, one could probably do that two times, get their fix, and not have to shell out $100. The silliest thing about this cockamamie idea is it just doesn't make sense. Why in the world would anybody want to see Wonder Woman that many times? Unless you are just ultimately fascinated by Gal Gadot's armpits? Is there anybody that will legitimately go to see this film every day that it is out theatrically? If there was, are they people that should really be allowed to do such a thing? Nice try Regal and DC Films but we'll see Wonder Woman when we want, how we want, and we won't be tethered to some $100 ticket to do so. The promotion has been live for a week and some change. As of now, 1000 of these tickets have not been sold out.